书籍简介: \\\\\\\\\\\\\\\\\\\\\\\\\\\\\\\\\\\\\\\\\\\\\\\\\\\\\\\\\\\\\\\\\\\\\\\\\\\\\\\\\\\\\\\\"Latino Talent is an invaluable resource for anyone interested in learning about Hispanic Americans in the workplace and in leveraging and maximizing their contributions. This unique book―written by an expert who's deeply respected in this field―provides a practical and compelling perspective on why organizations should continue to invest in developing?this?young and increasingly influential population segment.\\\\\\\\\\\\\\\\\\\\\\\\\\\\\\\\\\\\\\\\\\\\\\\\\\\\\\\\\\\\\\\\\\\\\\\\\\\\\\\\\\\\\\\\"? \\\\\\\\\\\\\\\\\\\\\\\\\\\\\\\\\\\\\\\\\\\\\\\\\\\\\\\\\\\\\\\\\\\\\\\\\\\\\\\\\\\\\\\\"Latino Talent is a must-read for diversity and HR executives who are responsible for Latino initiatives in their organizations. The book also provides justification as to why organizations need to raise the sense of urgency regarding their Latino-related workplace practices.\\\\\\\\\\\\\\\\\\\\\\\\\\\\\\\\\\\\\\\\\\\\\\\\\\\\\\\\\\\\\\\\\\\\\\\\\\\\\\\\\\\\\\\\"
\\\\\\\\\\\\\\\\\\\\\\\\\\\\\\\\\\\\\\\\\\\\\\\\\\\\\\\\\\\\\\\\\\\\\\\\\\\\\\\\\\\\\\\\"Latino Talent includes wonderful insights gleaned from practitioners in the field. Readers are exposed to corporate best practices when it comes to Latino talent management initiatives. The strategies and solutions provided in Latino Talent are proven, applicable, and deliver results.\\\\\\\\\\\\\\\\\\\\\\\\\\\\\\\\\\\\\\\\\\\\\\\\\\\\\\\\\\\\\\\\\\\\\\\\\\\\\\\\\\\\\\\\"
\\\\\\\\\\\\\\\\\\\\\\\\\\\\\\\\\\\\\\\\\\\\\\\\\\\\\\\\\\\\\\\\\\\\\\\\\\\\\\\\\\\\\\\\"America has awakened to the large and growing Latino demographic in this country and now wants to tap into this fast-growing consumer base. The best way to make inroads into this demographic is by building your Latino talent pool so they can create successful programs that get results. 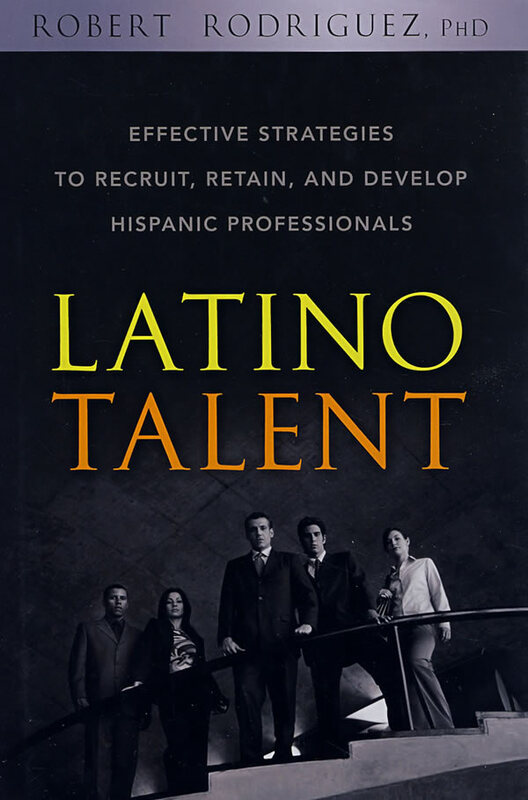 Whether you're at a Fortune 1000 company, government agency, academic institution, or not-for-profit organization, you'll want to read this strategic approach to building your Latino leadership.\\\\\\\\\\\\\\\\\\\\\\\\\\\\\\\\\\\\\\\\\\\\\\\\\\\\\\\\\\\\\\\\\\\\\\\\\\\\\\\\\\\\\\\\"
\\\\\\\\\\\\\\\\\\\\\\\\\\\\\\\\\\\\\\\\\\\\\\\\\\\\\\\\\\\\\\\\\\\\\\\\\\\\\\\\\\\\\\\\"Employers interested in maximizing the contributions of Latinos in the workplace will find Latino Talent to be very useful and practical. In this book, Dr. Rodriguez has done extensive research to help companies and employees build bridges for understanding and inclusion.\\\\\\\\\\\\\\\\\\\\\\\\\\\\\\\\\\\\\\\\\\\\\\\\\\\\\\\\\\\\\\\\\\\\\\\\\\\\\\\\\\\\\\\\"